Good news for families in Pennsylvania and across the country who rely on the Children's Health Insurance program, or CHIP. This week, the U.S. House and U.S. Senate voted to end the government shutdown by passing a continuing resolution that includes a 6-year renewal of CHIP. In September, Congress let federal funding for the program expire. More than 180,000 children in Pennsylvania depend on CHIP for health care coverage, including children with mental health conditions. Gov. Tom Wolf issued a news release following the announcement. READ THE FULL STATEMENT. 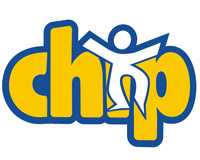 Visit the CHIP website to apply for coverage or learn more about the program.